321 p., 18,1 x 25,4 cm. These three volumes from the set provide the complete edition of the 261 letters still in existence written by Bolzanos between 1824 and 1848 to his most important student František Příhonský. Annotations, a bibliography and indexes have been added to these. 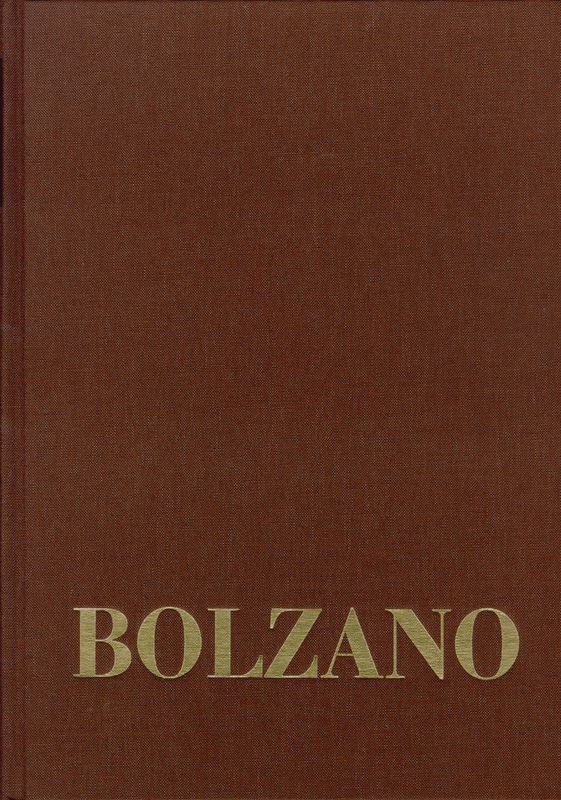 These letters reflect many aspects of Bolzano’s personal circumstances and shed light on the relationships to his circle of friends. They also provide information about his work as a writer in the last decades of his life. It was during this time that he wrote most of his scientific works.